It has been said that we carry memories of at least three generations around in our head. We remember events of our own lives, those of our parents and those of our grandparents either through first hand encounters with them or through shared memories. Some may have opportunity to know great-grandparents, making it possible to access a fourth generation. The depth, detail, richness and accuracy of these memories vary with the individual and the age which they acquired them. We all know people in our communities who seem to have some natural ability to recall events, people and circumstances. 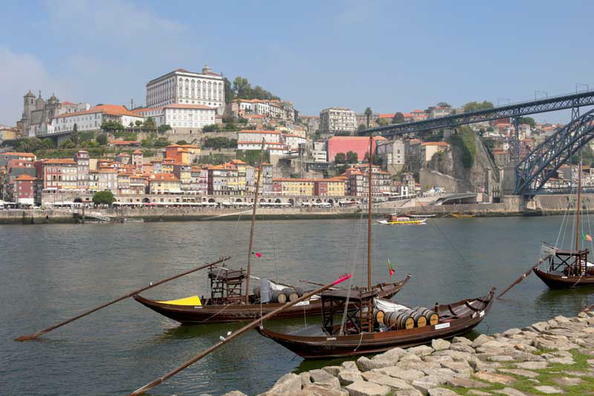 Frequently they are older than us and offer many opportunities to converse about the past and the people who populated it. I have always sought out such people to feed my insatiable curiosity about the hundreds of years that people have lived in St. Jacques. I am fortunate to know and spend hours and days in their presence. Some of what they shared with me is easily recalled while more is elusive and returns to conscious memory now and then. That is normal and I am confident that most of the information and memories they shared is intact in my brain waiting for the right time and occasion to emerge. Remembrance Day, November 11, is always a poignant time to reflect on community members who served in various capacities in the many wars of the last century. 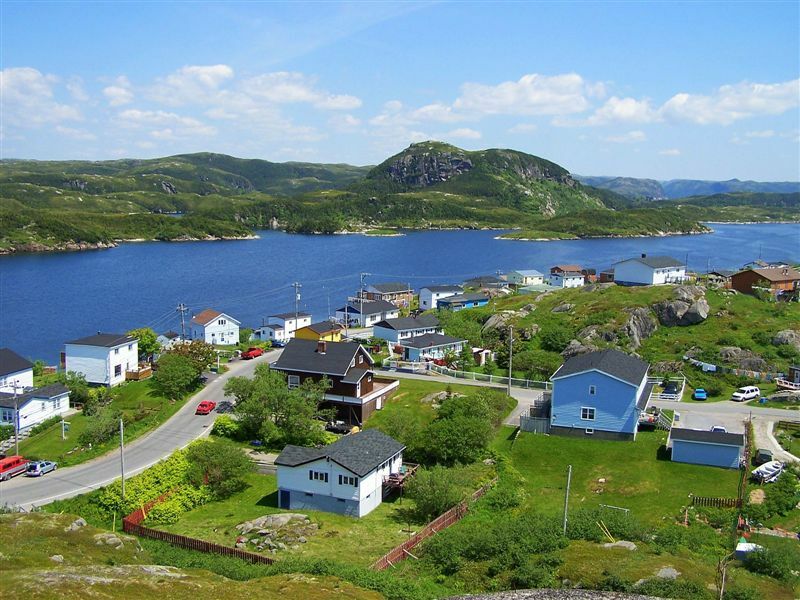 St. Jacques, like numerous other small towns in Newfoundland, offered its residents to war efforts. Some of these young men and women returned while others were laid to rest on or near battlefields. Then there were others whose lives were lost and their final whereabouts never known. This was often the case with men who worked on vessels which plied their trade through enemy waters during times of war. One of these was John Evans. For years I heard references to John Evans being lost during WW I but none were definitive or clear as to how and where he was lost. With the years claiming the voices of our elder people we lose our tangible links to those stories. Technological advances in communication have, however, made it possible to share memories and information which we might otherwise lose with each passing member of the community. The Internet, with all of its warts, is perhaps one of the greatest communication advances ever made by human kind. The sharing and documenting capacity of the Internet adds to our human capacity to remember and share those memories. It also enables us to access information that just a few years ago would have been inaccessible. For some information it is no longer necessary to travel to various locations to conduct research or to write someone and wait on a response. The Internet is where I turned to find out more about John Evans of St. Jacques. This post will take you through that process of discovery. Though I cannot tell you all of the details of how John Evans was lost during WW I, I can share what I’ve found. Men from our communities who served on ships sailing in dangerous waters during wartime were considered to be serving in the Newfoundland Mercantile Marine. As such they are afforded the recognition of serving their country during times of war and are recognized for that service. John Evan`s name appears in a list of the war dead maintained by the Canada at War, Online War Memorial. The information on him is incomplete; however, we can see that others died along with him on that day: namely the other seamen on the same vessel. John’s name is also recorded on page 26 of the Merchant Navy Book of World War I victims. 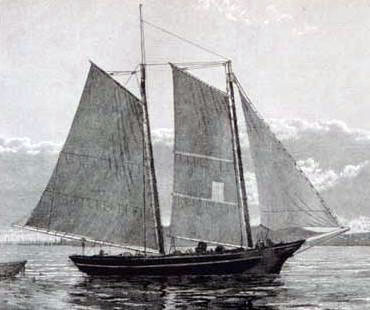 Elsewhere I found a list of people lost from Newfoundland vessels titled Victims of the Sea, on the official website of author Robert Parsons called Atlantic Shipwrecks which informed me that the schooner on which he sailed was the Elsie Burdette. A search for Schooner Elsie Burdette gives a number of hits with supporting information to explore. For instance the Canadian Great War Project page lists the names of the other sailors on the Elsie Burdette and provides an individual profile for each of them. By clicking on Evans we see his profile and learn that he was born on January 1st 1896 and died on March 30, 1918 at the age of 22 of unknown cause. It also says he is buried at the Beaumont-Hamel (Newfoundland) Memorial, in France. This isn’t the case. What this means is that his name appears on the monument as one of the Newfoundland casualties during the war. We will explore where he died a little later. The profile also tells us that he was a sailor and the son of Mrs. Evans of St. Jacques. Another page found on the Newfoundland Grand Banks site titled, The War Dead of the Beaumont-Hamel War Memorial – The Newfoundland Mercantile Marine states that the Elsie Burdette sank off Canary Islands, en route from Oporto to Burgeo, Newfoundland. Tombstone information found in the Anglican Cemetery in St. Jacques tells us that John was the son of William and Mary Evans. William had died just two years earlier at the age of 59. John’s mother died in 1929 at the age of 67. My Google Search also provided a hit on Joseph Small’s diary of Burgeo, 1925 – Shipwrecks on Burgeo and Nearby Places transcribed by Bill Crant on the Newfoundland Grans Banks Genealogical and Historical Web Site. If you read down the page you will see a paragraph about the Elsie Burdette as written by Mr. Small in 1925. 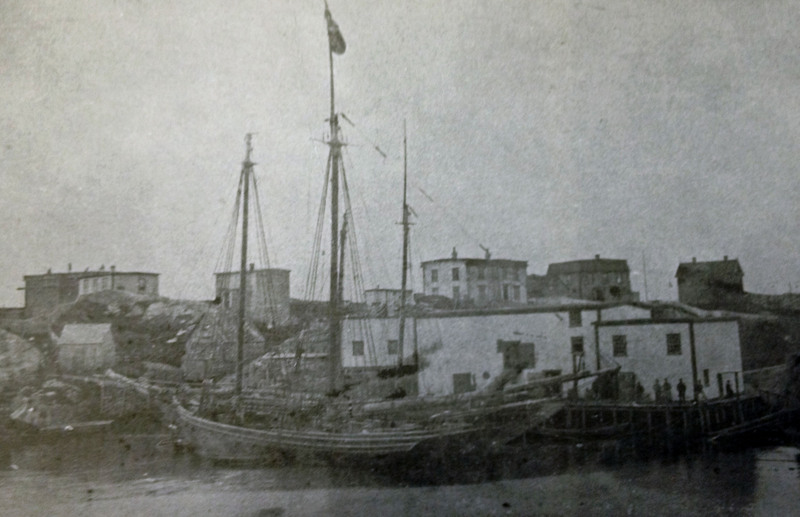 In 1918, the schooner, Elsie Burdett, of Burgeo, one of a fleet of fish carriers of John T. Moulton, commanded by Captain Albert Hann, better known as Bert, sailed from Oporto for this port in April. She had a cargo of salt and sailed in company with the Gordon Moulton, of the same owners. The vessels parted company one evening and all was well. The Gordon arrived in due time, making a good passage and met with no heavy weather, but the Elsie never turned up. From that time to this, nothing has ever been heard from her. How she was lost and just when will never be known. It has been thought that a German submarine may have sunk her. They were in all parts of the Atlantic. Bert was a smart fellow and knew how to handle a vessel, no doubt, but had no learning and carried a navigator, one Evans, of St. Jacques, a single man. The crew of this vessel had one Hatcher of Hunt’s, one Strickland, of the same place and one Collier, a son of Charles Collier. The other man I do not remember. These were all young men, but Bert left a widow and two boys and a girl. The search showed up a link to the Daily News of 1917 where we can see that on May 24th of that year the newspaper published the information that the Schooner Elsie Burdette, under the command of Captain Cluett, was lost with all hands, totaling six in number. The name of the skipper conflicts with that given by Mr. Small who says the skipper was Albert Hann. This discrepancy warrants further research at a later date. Further down in our search results is another link to a Wikipedia Page titled List of Shipwrecks in April 1918 which has the following information entered under April 3, 1918. · Elsie Burdett ( United Kingdom): World War I: The schooner was sunk in the Atlantic Ocean off the Canary Islands, Spain (44°38′N 24°28′W) by SM U-152 ( Kaiserliche Marine). Her six crew took to the lifeboat but were not rescued. 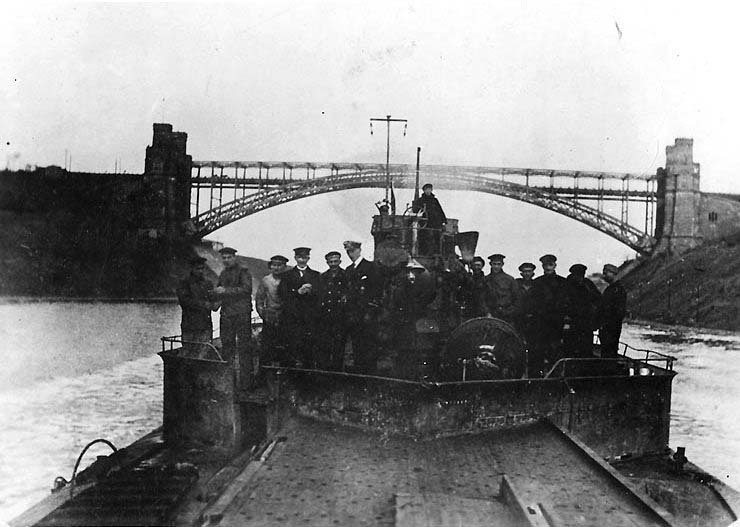 which one – SM-152, which was part of the Imperial German Navy known as Kaiserliche Marine. The last piece of information leads us to a conclusion about what might have happened to John Evans and the rest of his crew mates when it states, “Her six crew took to the lifeboat but were not rescued.” There is a discrepancy between dates here as well. This record suggests the schooner was torpedoed on April 4th, 1918. If this information was taken from the logs of U-boat 152 then it may be accurate. according to Kyrl Dollimount’s History of Burgeo page, she was owned by Burgeo and Lapoile Export Co. This is another discrepancy which may be easily explained through the buying and selling or contracting the service of vessels. We also find out that the Commander of the U-boat 152 was Constantin Kolbe who sunk a total of 43 ships during the war. The Google Map below shows the recorded location of the Elsie Burdette when she was torpedoed. John Evans, like so many young Newfoundlanders who lost their lives during WW I, never came home. None of us know nor will we likely ever know how far he and his five crew-mates travelled in their lifeboat or if they really did manage to get into that lifeboat. We just know they were never seen again. This was, as you`d expect, devastating to family and friends. The Evans family members now living in St. Jacques still remember him and like the rest of us remember all of the war dead each year in November while thinking of the many young men and women who have volunteered for service in Canada`s Armed Forces and those in countries all around the world. We read about the causes of conflicts like the Great War in textbooks and watch TV shows which tell some of the stories in other countries, yet, the real stories are told in the lives of people in our own communities who lose someone to war or those who return injured for life. John Evans did not ask to die in the Atlantic at the hands of an enemy submarine; yet he knew when he signed on as Mate on the Elsie Burdett that they would be sailing through dangerous waters. Their mission was not to defeat the enemy themselves but to bring back a load of salt so essential to maintaining the fishing economy here in Newfoundland at that time. It was this economy which provided the resources which government used to support the war effort. His work and those of others like him in and out of uniform are to be remembered. Finding out about John Evans, as you`ve seen in this post, took a bit of time. Most of all what it took was a memory shared with me by people who lived in earlier generations. That memory, in combination with curiosity and tenacity, led me through a variety of sources which combined to build a more complete picture of John Evans than most of us remember. They shall not grow old, as we that are left grow old: Age shall not weary them, nor the years condemn. At the going down of the sun and in the morning We will remember them. Below are a few links to information about how Newfoundland remembers its war dead. 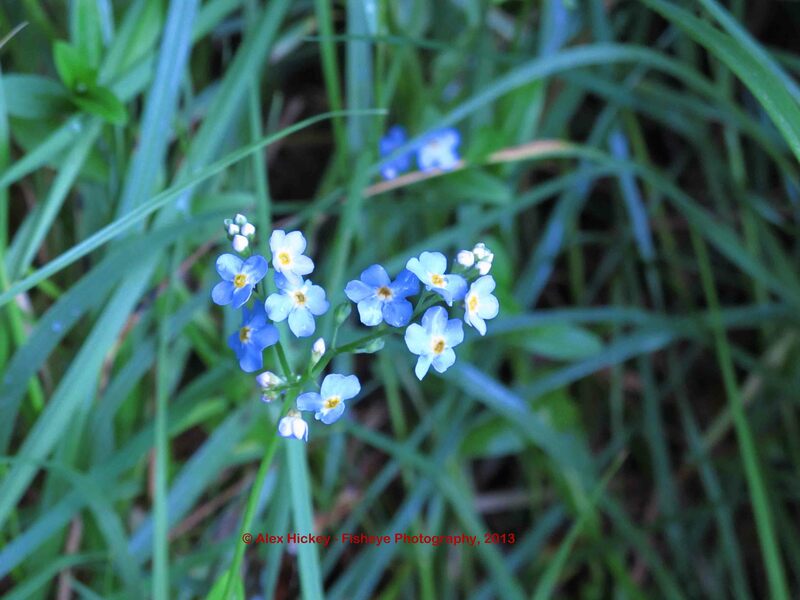 Click on the video clip below to hear Bud Davidge sing his song about the Forget-Me-Not.